Hey guys, welcome to the 5th part of our Samsung Galaxy S6 Troubleshooting series wherein we provide free support to our readers by answering their questions/problems. Since we started supporting this device, we already received more than 200 emails. In this post, I addressed ten emails, so if you already contacted us, skim through the page to see if your concern is among the ones I cited. This is the free service we provide so you may contact us any time you want. You can send us emails at [email protected] or post on our Facebook and Google+ page. Also provide as much details as possible because the information you provide, the easier for us to help you. First, let me say that I’m enjoying the info already on your website. It’s been helpful as I transfer from my S3 to S6. One issue I’ve encountered that I haven’t seen (or overlooked) is Wifi not overriding mobile data. On my s3, but were turned on and Wifi would automatically override mobile data and.or mobile data would automatically turn-off when I connected to a wifi spot. This is NOT happening with the s6. I have to manually turnoff mobile data for apps/system to use WIFI. Any help would be greatly appreciated. Sometimes I forget to turn off/on the mobile data and miss emails/notifications and/or run up my data usage. Solution: Hello Sabrina! There’s no problem with your phone. There’s just one setting you have to enable so the phone will automatically connect to known Wi-Fi networks when in range. Touch Wi-Fi, and then More. Description: Hi, I just found out that with the fingerprint security feature on, when the screen is locked you can still by pass it by double clicking the home button to unlock the phone. This only happens with the fingerprint security option. Please help. Thank you. Regards, Tokunbo. Answer: Yes, there were a few owners who also reported this but it doesn’t happen to the majority. It’s a bug or glitch in the system and it will be patched by the recent updates for sure. But, anyway, thanks for sharing this experience of yours, Tokunbo. Suggestion: Based on these descriptions alone, it is apparent that it’s a hardware problem. Probably, the battery has been completely depleted that the phone can’t even turn itself on. So, the real problem here is either the charging unit or the phone itself. Since your phones are new and still within warranty period, send it in so that Samsung techs can take a look at it. Try negotiating with your provider or the retailer you bought it from as you may still be entitled to get a brand-new unit for replacement. Problem: I just got the Samsung Galaxy S6 last week and I am having Internet connection problems. The main instance: I cannot stream pandora over wifi. If I turn off wifi, I can stream over data. If I go to google, I can stream a song on youtube over wifi (with data on or off). At first I thought it was a pandora issue and tried the typical list (uninstall/reinstall, reboot, change app settings), but then I saw a problem in words with friends: the dictionary (pulled from dictionary.com) would not load on wifi. If I turned off wifi, if would load right away on data. And I could easily go to the dictionary webpage on wifi. I did a speed test and my wifi is plenty strong (over 50 mbps). Unrelated, I was having trouble making calls, so I enabled advanced calling. Otherwise, I haven’t made major changes to the phone. Help? Thanks, Julia. Troubleshooting: Hi Julia. Apparently, this problem isn’t app-specific because it doesn’t happen to just one application. Thanks for ruling out that possibility, we can now focus on troubleshooting Wi-Fi. After the reboot, make sure the phone is connected to your Wi-Fi network and then try to browse the web to see if there’s an active internet connection. If there is, open the app you were having problems with. If those apps can pull down data just fine, then the reason why your internet connection was intermittent is that the phone keeps switching between networks and that interrupts the connection during transition. However, if the problem still persists after all those procedures, try disabling the mobile data and then try to see if there’s an active internet connection. If not, “forget” your Wi-Fi network from your phone and let the device detect and reconnect to it, and then test your connection again. If the connection is still messed up, reboot your network equipment such your router and/or modem and try again. If all else fails, send the phone in for repair. It must be a hardware issue more than anything else. Problem: Hi, first of all, thank you so much for thedroidguy.com. This site has been most helpful and informative. My question is on Messages, Settings, Backgrounds and Bubbles I added a photo that I would like to delete, but I have been unable to find a way to do this. Can you help? Thanks in advance. Sincerely, Maggie. Troubleshooting: Hello Maggie. I don’t know what picture you added but the only way to change the background is under Backgrounds and bubbles. But since it’\s not working for you, then revert all settings of the Messages app to default by clearing its cache and data. In case the photo you added was taken by your camera, it must be saved under DCIM folder in your phone’s memory. You can delete the photo from there. Tap on “More” on the top right corner. Tap the Account you want to edit. Scroll all the way down to find Sync Messages. Note that only the sync for text messages will be turned off and not emails. Troubleshooting: Hi Danielle! If all other text messages go through in your daughter’s phone, then your number may have been blocked. Tell her delete your number from reject list or whatever the term used to described blocked numbers. It could have been more helpful if you told us what the phone of your daughter is. But the thing is you can’t fix this problem because it’s on your end, it’s hers. 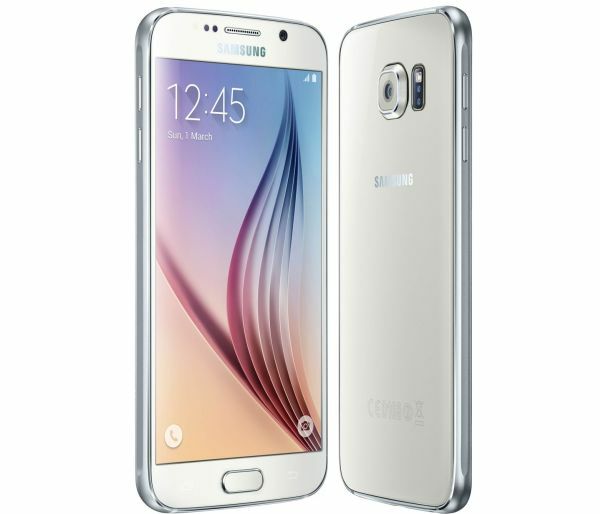 Troubleshooting: A number of Galaxy S6 and S6 Edge owners reported to have encountered this problem. Apparently, it’s just a glitch. Some say a reboot can it while others said clearing the cache and data of the Camera app will take care of the problem. So, please try those procedures. Troubleshooting: Hey Tasman! Make sure mobile data is enabled as it is required to be able to send and receive picture messages or MMS. Secondly, check the APN settings in your phone to see if they conform with the settings provided your service provider. If you don’t know the correct APN, call your service provider and ask for at the same time, inquire about your account status. When it comes to MMS, everything boils down to mobile data and APN. I use the Gmail app (big red M) for my email. When composing an email I cannot get my Gmail Groups to insert in the To: field, although I can see them in my Contacts app. (See screen shot attached showing apps I am using. Icon 5 and 7 from top left corner). So in Gmail, I go to Compose then use menu to select “Add from contacts” and the window freezes. (See 2nd screen shot attached) and I have to close the app. Despite repeatedly trying I get the same freeze taking place. I’d be grateful for your help. Thanks. Best regards, Ken. Troubleshooting: Hi Ken. There are two possibilities here, either it’s just a minor app problem or it’s a more complicated firmware issue. Let’s set aside the issue with Gmail because, apparently, it happens because the Contacts app is not responding the way it should. I believe that if you can fix the issue with Contacts, the other problem will also be fixed. And since the error message speaks of a specific app, the basic troubleshooting procedure is to clear the cache and data of the problematic app, in this case, it’s Contacts. If that won’t work, then there’s no other option but to hard reset the phone.